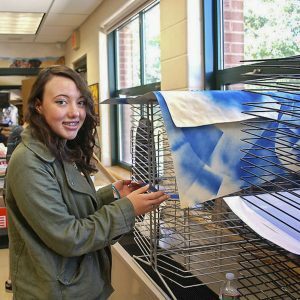 Art Club is a place for Hopkinton High School students to go after school to be creative, and there are no requirements for the club. Students can work on any projects or ideas they so desire, and attendance isn’t a necessity. Members are not required to come every week because the club is more for working on projects than strict meetings. Â There are a few regulars, but typically the attendees change. 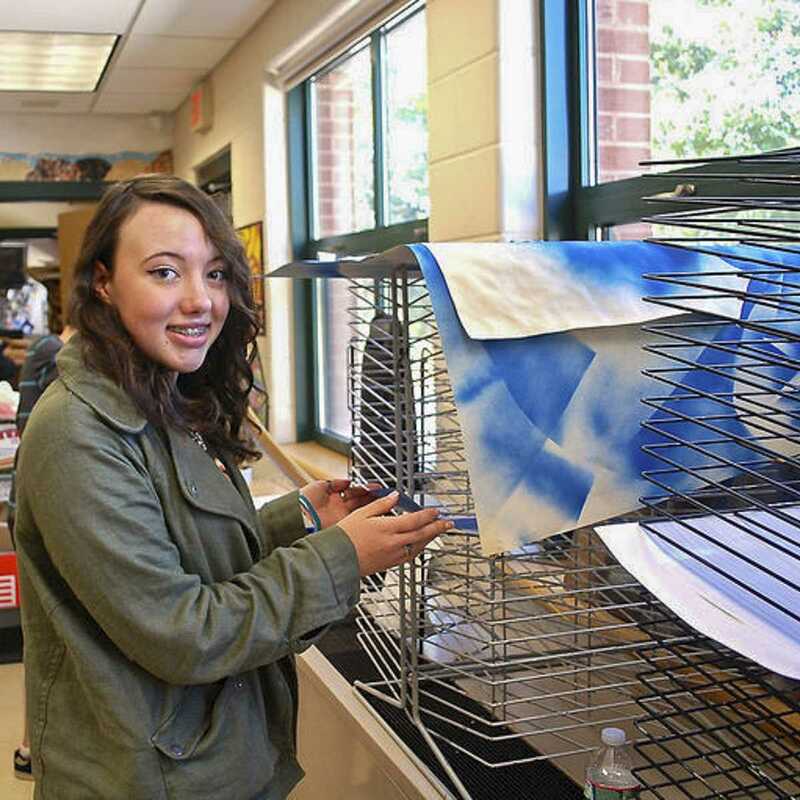 Co-president Danielle McAree, junior, said “it varies, sometimes it’s 20-30 people, other times it’s 5.” McAree has been coming to art club for all of high school. Senior Maddy Boyce works on a shield, a part of her Halloween costume. 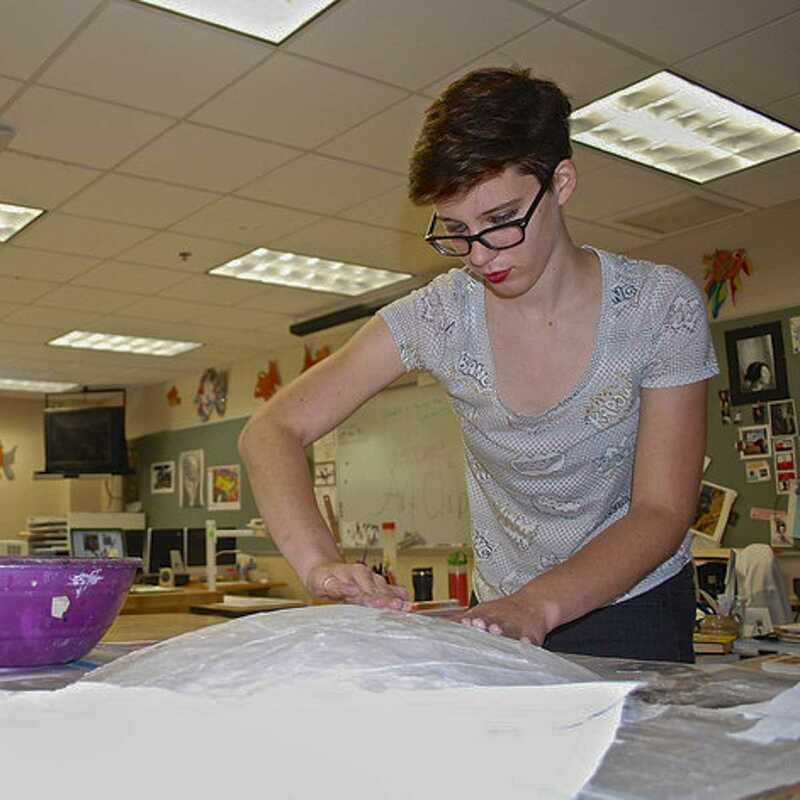 The club is supervised by art teacher Kristin Kellenberger. “I’m here as the adult in the room for sure, but I’m really here to support the presidents and help them do whatever projects they come up with for the club. I help everyone find the appropriate supplies that they need in order to work on whatever it is that makes them smile,” Â said Kellenberger. In addition to personal projects, the club is planning on working on some bigger group projects. “We might do a couple murals as a club,” says McAree. Art club meets every Wednesday from 2:00-3:30 in C204.